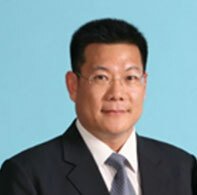 Professor Zhong Weihe is president of Guangdong University of Foreign Studies, executive vice president of TAC, chairman of the Advisory Board on ELT, chairman of the MoE （Ministry of Education）Coordination Committee on Translator Education, vice chairman of the China National Committee on MTI Education. He is a scholar of distinction in the MoE New-Century Outstanding Scholars Scheme and the New-Century Academic Leaders Program. He enjoys entitlement to State Council subsidies for special talent in China. He is widely recognized for his publications in interpreting studies and foreign language education. He is a recipient of the Special Contribution Award 2012 from TAC.